If you are a NutriAdmin customer in Europe, and your business is registered for VAT, you can save your VAT number in NutriAdmin by following the steps in this tutorial. 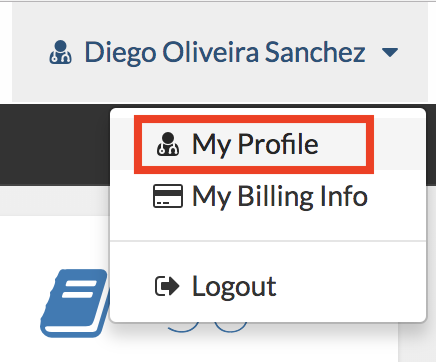 Step 2: Select My Profile from the drop-down menu. 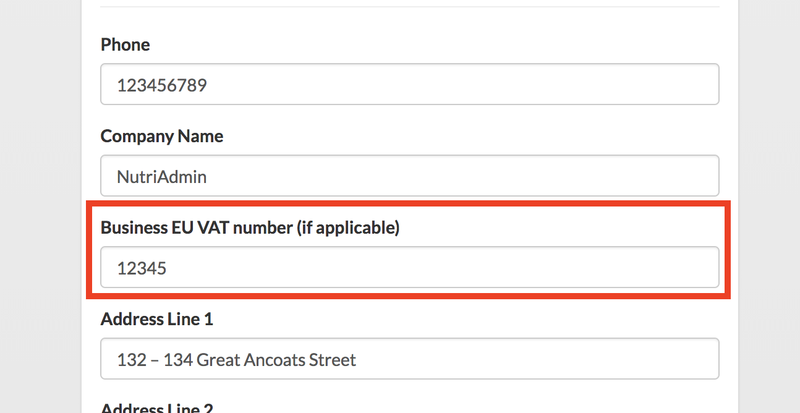 Step 3: Scroll down and enter your VAT number in the corresponding field, highlighted in the screenshot below. Step 4: Scroll to the top of the page and click on Save Changes.